Exclusively on en.Blind Guardian.fr, here is an overview of the final content of A Traveler's Guide To Space And Time! The final price is not yet fixed because it was increased from $125 to $233 on Amazon, we will keep you informed as soon as we know more about this subject! 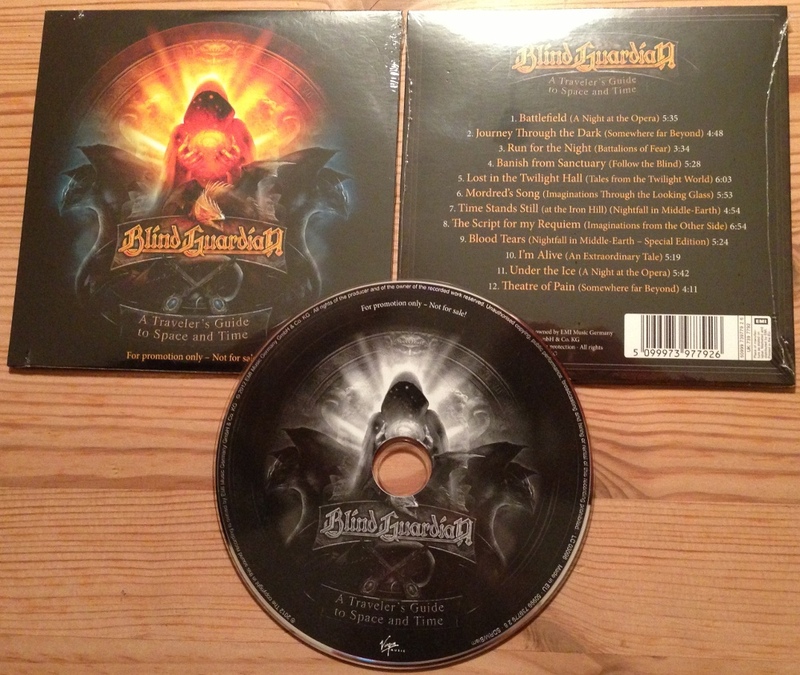 Before starting, the team of en.Blind-Guardian.fr would like to present you its best wishes for the new year! Then all the details about A Traveler's Guide To Space And Time are now available on the page dedicated to this beautiful box in the discography of the site. Feel free to have a look to get more information on the contents of this package which is now planned in one month(4 February 2013). 8 songs of A Traveler's Guide To Space And Time! To make the fans wait during these cold winter days, the group has posted a preview of eight songs from A Traveler's Guide To Space And Time! I remind you that the box comes out in less than 15 days and if you have not yet pre-ordered this is the right time to do it! ...first a late, but still fresh, Happy New Year to everyone. After getting rid of some bonus pounds gained over the last few months due to live abstinence we are now getting ready for a very busy and exciting year of creativity and efficiency. Wishful thinking, you think? Blasphemy, I would reply! As most of you may have recognized, we have been busy all during 2012 with some additional touring activity and some extra missions, such as the completion of A Traveler's Guide to Space and Time, which is a great legacy. It features all of our material from the Virgin era in a new and accurate framework, beautifully designed by Felipe Machado. The whole box offers a great insight about that particular part of our career. Even though it took us more time than expected, we are really pleased with the final result. It's something we are really proud of and something which you hopefully are going to enjoy as much as we do. I just got my sample yesterday, and am really blown away. The difference might be that throughout the last 18 months we have recorded 7 songs in Prague. There probably is a handful of additional songs to record during this year, but they are also already finalized with regard to composition. In theory we do not need any further songs for this album but ideas simply seem to flow endlessly... The reason why this album is still far from being released is partly based on the regular album, which we definitely would like to release first. At this point in time I am in a very tricky situation. How to continue from here? I think it is probably easiest to simply continue by telling you something about the regular album since this would be next anyway. Keep in mind that "next" is relative! Well, we have started working on four songs and already were able to finish two songs musically. The working titles are "Encrypted Time" (I think this title is inspired by André's passion for World of Warcraft or so - I can only guess...) and "The Ocean" (here, André has been inspired by my undefined mumbling in the song). "Encrypted Time" is a modern speed metal song with some tribal aspects and some 70′s inspirations, while "The Ocean" is a very progressive (this time I talk about ELP meets Savatage art rock when I say progressive) orchestra dominated song which will give you a further glimpse of what to expect from the orchestral album. I am clueless about the right story board for "Encrypted Time" but "The Ocean" could be used as a theme opener for the orchestral project. We will see... The other four songs seem to turn out very special and obviously very different. Working titles: "The Irish Hill", "Prophecies", "Soundtrack 2" and "Midtempo Song". I cannot tell you exactly about how many times we have had a song over the years which was first called "Midtempo Song". I am pretty sure we are not the only band abusing this spectacular title over and over again. Thank God, the title is not copyright protected, yet. We would be in trouble then. Maybe it is and that's the reason why it barely ever ended up as a title on the album. Out of those tracks "Prophecies" is the one which is developed the most. 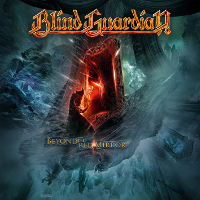 It is almost straight forward, has a very strong pre and main chorus and offers some "Queensrÿchish" prog (this time I do mean Queensrÿche when I say prog) elements in combination with some Blind Guardian fantasy metal. A nice one. I'll keep it short from here: "Irish Hills" might be a surprise with some Irish melodies, which none would expect in a song with such a name... "Midtempo Song" is a great song of misunderstandings and technical failures, the result so far is a little surprising to everyone involved and has nothing to do at all with a song entitled "Midtempo Song". I enjoy this one a lot, because I cannot remember us doing something like this. The song is still in a very early phase and André has kept it hidden from me for a while now. "Soundtrack 2" has been the first song fragment for the new album. We had put that aside for a while, but it contains some very heavy elements, almost thrash metal like. Let's see how this is going to end up. You see, there is a lot in the pipeline already. But there certainly will be more new stuff during the year. Even though we have already started to record some drums for the album at the end of the last year, the whole thing is going to keep us busy until the spring/summer of 2014 for sure. Blind Guardian nominated for Napster Fan Award 2013! 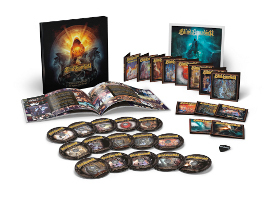 In these times of calm for the group that must probably work on the next album as well as the orchestral project, Blind Guardian was nominated for Napster Fan Award 2013 in the category "Bands" with other bands like Rage or Overkill. To vote for your favorite band, a simple and quick registration is required (Facebook is the best) and you can vote every 24 hours :-). Votes are open until August 12 and the winner will make a show on September 5 during the Berlin Music Week. To vote and see all the nominated groups, just go here: Napster Fan Award 2013. Like the majority of you, I was also very surprised when our show in Geiselwind was announced for May 2014. I suppose that I, or one of the other guys, have agreed to this show. I'll probably never figure out who did it, but that's not important now, the show itself is of importance. To be honest, all of us cannot wait to get back on stage. Our stage abstinence seems much longer to us than "just" 2 years. Since we were asked to do a "Best Of" show we do not even have to rehearse, this is more or less the type of show we have done in the past anyway. I still hope we can put in some surprises since no one really knows what we consider our "Best Of" songs at the moment. It might differ from Memories of a Time to Come though. Right now I'm working on a possible set list and I'll cross my fingers that this will be approved when the others have a look at it. By announcing this live appearance we also secretly announced the intended termination of our album production for the end of May. We obviously have progressed quickly, in Blind Guardian terms that is. Indeed, everything looks very promising with regards to our songwriting and our production. We have good reasons to believe that the album is going to be completely finished at that point. Let's hope I will not be proven to be the reincarnation of good old Münchhausen again. Anyway, even the worst case scenario would have us not being too far away from completion at that point. Since we have already completed several production steps on the new album the picture gets clearer and clearer. Although not necessarily clear enough to decide whether I'll go lyrically for individual topics on each separate song or instead for a conceptual album. On one hand the concept would have a strong fantasy link and on the other hand it would contain some typical Dystopian elements, because this is also what I musically find in most of the songs. They will all feature an almost magical grandeur but will present some very harsh disturbing elements as well. Therefore such a concept might be very suitable. I will have to sleep on it for a while until I'm able to make a decision. Whenever we start songwriting I try to create a plan in my mind detailing which qualities I would love to feature on the next BG album and what general impression I would like to create. Very often at the end things come out quite different and I'm surprised which qualities or preferences have shown up then. 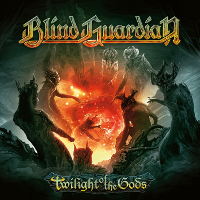 This time there seems to be a collective urge (without even having talked about it) among all members to feature the more aggressive side of Blind Guardian this time. Right now, we are working on 5 faster songs. As far as I remember last time I have mentioned "Encrypted Time" and "Holy Grail" (which are both proceeding well in the album production), so I am going tell you a little bit about "Winter's Coming", "Outcast" and "Song 9". The first one is based on Marcus' idea of a 90′s orientated speed/thrash song. We have finished a good two thirds of this one. It's fast and heavy, or was it heavy and fast? I have no idea how he came up with the title "Winter's Coming"... "Song 9" is a fresh one which used to be a collection of parts at first, but then developed into something very special. 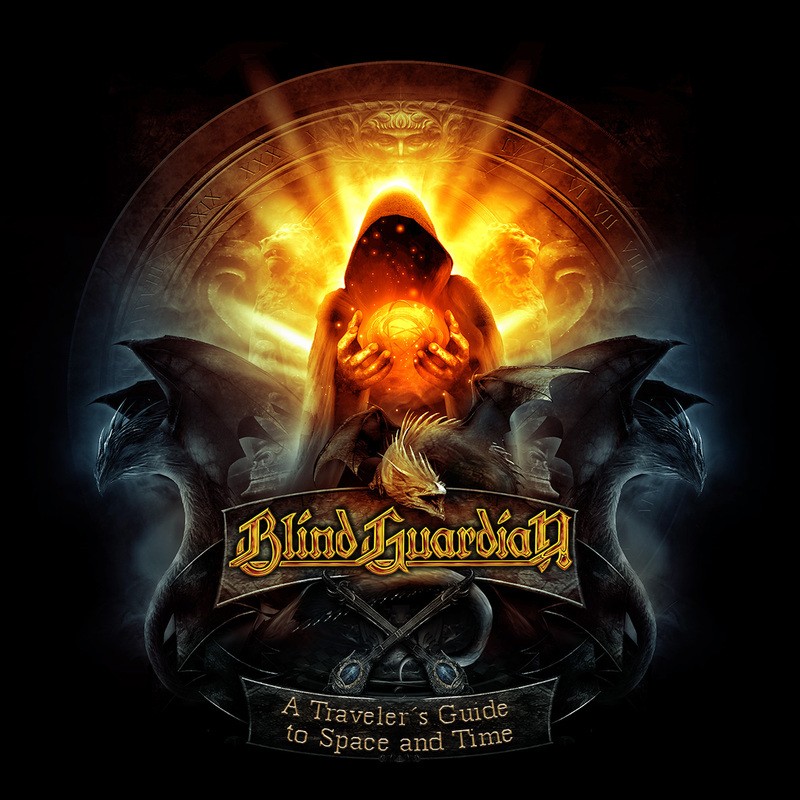 I would describe it as a refreshing combat between "Guardian of the Blind", "The Script for My Requiem" and "Ride into Obsession" only disturbed by a fairly straightforward chorus. If you ask me this one is born to become a "classic, but first underrated by the band" song. My favorite among the fast ones certainly would be "Outcast". A song full of surprises. The old school die hard fan will probably complain later that this one has a soft intro (epic and sad), but even this person would have to agree that afterwards we keep up the speed on this one to the very end. The song is a roller coaster ride through the last three decades of metal. I love it! "Midtempo Song" is the most "commercial" song on the album so far. "Commercial" in a positive way, of course. It would deserve a title like "Irish Hills" more than "Grand Parade" did when it was called "Irish Hills", but who said that life is always fair... To give justice to the song I also have to say that it is very progressive but also very catchy. "The Throne" is another epic piece we are working on. I have just started working on vocals for this one last Friday. It is too early for me to describe this one more precisely. What I can say is that this one is the perfect link between "Grand Parade" and "The Ocean". This last one is already completely recorded except for the vocals. "Prophecies" and "Encrypted Time" are completely recorded and the same can be said about some older B-songs, which we have decided to finalize with this session as well. The BG pundit knows about which songs I am talking. Hansi, or "Hieronymus Carl Friedrich von Münchhausen" as my friends call me. Hansi will take part in Doro's 30 years on stage anniversary show at Düsseldorf on 2nd and 3rd of May 2014 at Düsseldorf.He will probably show up for a short guest appearance for one or two songs. But there is no further specific information given. 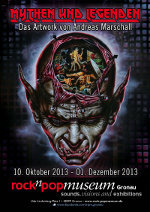 Other kings of metal as Udo Dirkschneider or Miland "Mille" Petrozza will also be present! 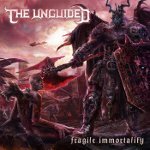 Hansi will be making a guest appearance on the new The Unguided album entitled Fragile Immortality. Hansi shares the vocal duties on the track "Deathwalker". 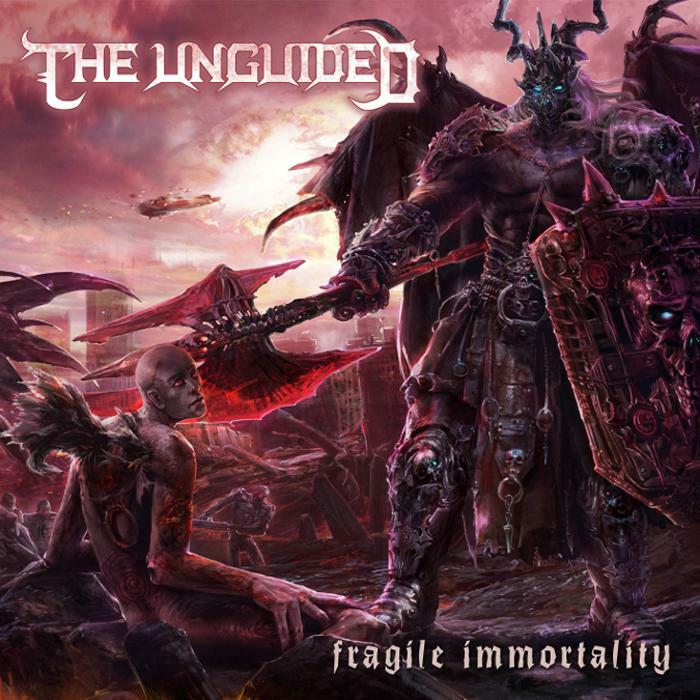 The Unguided play a type of heavy metal quite different than that of Blind Guardian's which makes it all the more interesting to hear Hansi's performance on this track. The single for the track “Inception” was released on December 21, 2013 and the video can be seen below. Even during times of writing, Hansi remains productive and finds time to participate in various projects, after The Unguided, he returned to see his old friend Jon Schaffer and his band Iced Earth! And this time is on five songs that the leader of Blind Guardian appear! 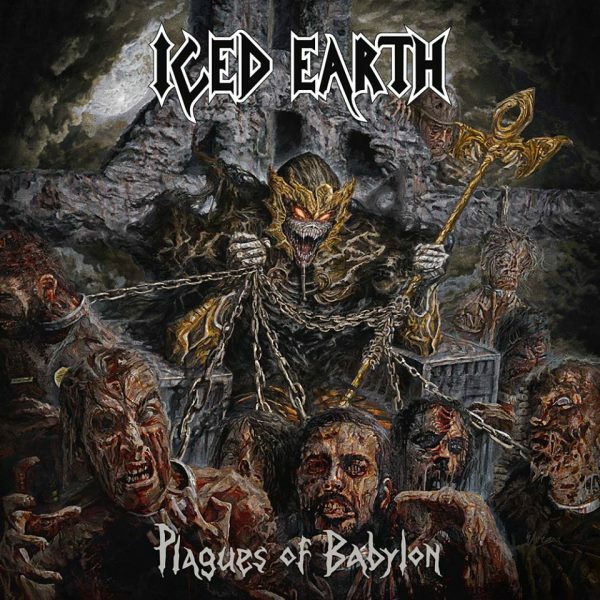 The songs "Plagues Of Babylon," "Among The Living Dead," "Democide," "Resistance" and "If I Could See You" contain the so hoarse and well-known voice of the Bard. 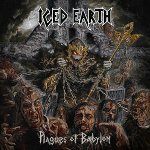 Plagues Of Babylon will be released on January 21st!